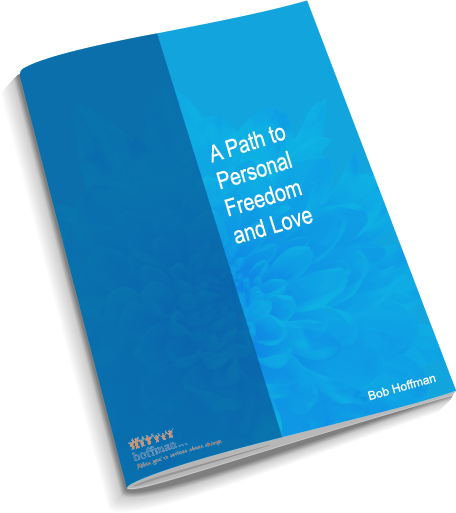 The Hoffman Process helps participants to understand and heal underlying emotional issues which have been acquired within the family of origin during the formative years. Participants learn to become grounded in their own spiritual centre from where they can find resolution within their own ‘existential dilemmas’. This builds higher levels of personal resilience to deal with the normal ups and downs of life. Most people have felt sad or depressed at times. Feeling mildly depressed can be a normal reaction to loss, life’s struggles or an injured self-esteem. but when feelings of intense sadness, including feeling helpless, hopeless, and worthless last for many days to weeks and keep you from functioning normally, your emotional state may be something more than sadness. Particularly when we repress our emotions and have a sense that we have no choice about our way of being, this is depression. Every human being on planet earth is faced with the same fundamental existential dilemmas: Birth and Death, Freedom, Isolation vs Belonging and Meaninglessness. If we never take the time to indwell these questions and to find personal resolution with them, they will inevitably impact upon our sense of self and our primary relationships, because we are unable to bring the ‘presence’ of our being to another human if we have not truly encountered our own being. This commonly leads to deterioration in our relationships, as we do not know how to get our own needs met or to be able to meet the needs of our partner or intimates and many people seek help in this instance. If we still manage to avoid ourselves, this lack of ‘presence’ will impact further in our ability to form meaningful connectedness with our extended family and friends. We will lack resilience to meet the interpersonal demands at work, compensating our lack of inner resolve and control with maybe bullying others or becoming a target of bullying, aggravating unnecessary levels of stress which further destabilizes and jeopardizes us. Such vicious cycles can lead to a sense that our job is at risk and stimulates survival anxiety. The amount of stress hormones that are released if such situations persist over an extended period of time, will lead to the repression of our immune system and make us more prone to ill health further acerbating the cycle of depression. Our weakened organism cannot produce enough serotonin and we can move into clinical depression. Often people seek medication to alleviate these unbearable feelings but medication without personal intervention does not lead to resolution. Medication without conversation can just lead to further repression of the underlying causes. To break this cycle in the treatment of depression, it is essential is to address the underlying existential and emotional issues, as well as to build a sense of inner understanding and awareness that can enable us to respond to external stressors. Depression also occurs when we have learnt to habitually repress certain emotional states like ‘anger’ and ‘grief or sadness’. Depending upon how these emotions were socialized within our families and communities they usually camouflage the internal toxic shame beliefs that we hold about our selves, like un-lovability, inadequacy, self-invalidation and self-criticism. The HP not only produces significant lasting reductions in negative affect i.e. depression, anxiety, hostility, interpersonal over-sensitivity and obsessive-compulsive symptoms but also engenders significant, lasting, increases in positive affect i.e. emotional intelligence, spirituality, mindfulness, forgiveness and empathy, along with increases in physical energy and vitality. These changes were demonstrated in a University of California’s Study (Levenson et al., 2006). This rigorous study, with a one-year follow-up, showed that most of the gains that participants made during the Process were sustained over the next year, in comparison with the control group. Depression practically disappeared a week after the HP and remained low after a year, with only a 17% relapse rate, while, for example, CBT (Cognitive Behavior Therapy) has shown a relapse rate of 30.8% and antidepressant medication alone 76.2% after one year (Hollon et al., 2005). These outstanding effects on depression were mediated by increases in forgiveness and spirituality. 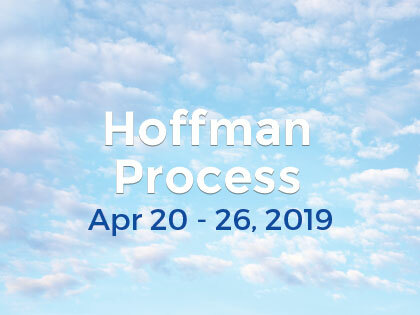 Learn more about the Science underpinning the Hoffman Process. To understand your intellect, your emotional capacity and your physical self – a whole person is connected with their Spiritual Center, which they access through the work of the Process. From that place – the Spiritual Center – there’s not much room for depression. Take advantage of this great offer and book a free 1 hour consultation with one of our professional therapists.